Halloween is an annual festival that is celebrated on the night of Oct. 31. On this night thousands of children as well as many adults throughout Europe and the Americas, some of them costumed as the supernatural or the macabre, observe a night of trick or treat. Its popularity has increased throughout the world. From Japan to the United States, the festival is increasingly taking on a global dimension and retailers are taking notice. But where does this celebration come from and to what do communities owe its symbols and traditions? The hollowing out and carving of a pumpkin into a lantern has origins that span millennia back to when Halloween was an ancient pre-Roman Celtic festival. Back then the carving of vegetables, usually turnips, served to protect those carrying them. The faces warded off evil and unwanted spirits ancient Celts believed wandered the night during their sacred year-end festival. The pumpkin, however, is a recent addition to Halloween symbology. 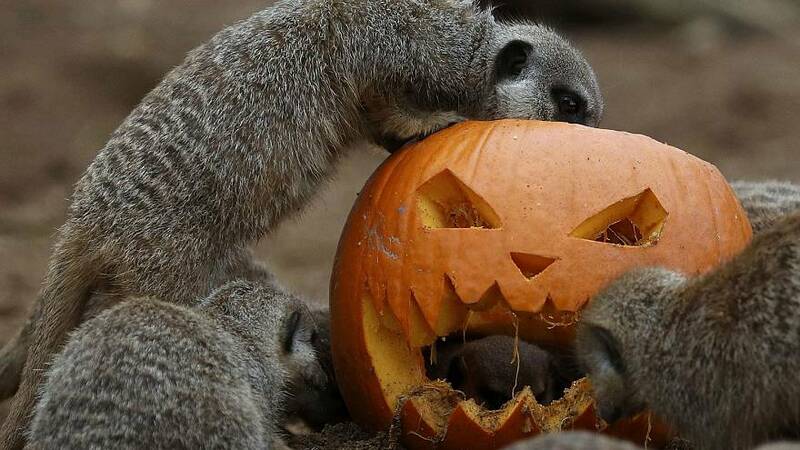 Native to the Americas, Irish immigrants importing their Halloween traditions to the New World realised it was easier to carve and thus it became an instrumental part of Halloween. Although its modern conceptualisation appears uniquely American, Halloween has an ancient history seeped in legend, superstition and European origins. At its roots, Halloween is a pagan festival celebrated on Nov. 1, to mark the end of summer and the Celtic New Year. Called Samhain, it was the time when farmers collected their harvests, slaughtered animals for meat and, as grasses and trees prepared for winter, it was a time when the worlds of the living, the divine and the dead were at their closest. In parts of Scotland and Ireland, ancient Celts wore masks, or exchanged clothes, to ward off, or confuse, the spirits of dead relatives wishing to impose on the living. This tradition of masking one’s identity has survived and has been reinterpreted many centuries later into the costumes worn today. Offerings in the form of food were also given to the dead during Samhain as a form of appeasement and remembrance. The Celtic New Year was also a feast and the spirits of those recently passed away were invited to partake. As Christianity swept through Europe, the Catholic Church in Rome sought to erase pagan rituals and cement its place in the minds and hearts of converts. To entice people to attend church, and to make compatible pagan traditions with those of Christianity, Pope Gregory IV in 837AD adapted the May 13 Christian Feast of All Holy Martyrs, to coincide with Samhain. Pope Gregory also renamed the festival to the Fest of All Saints. The church typically held a vigil on All Hallows Eve, Oct. 31. Over the course of centuries, the name has been contracted to what is recognised today as “Halloween”. And trick or treating, the Halloween practice where children go door to door asking for a candied treat or suffer a tricky consequence also goes back to the Church’s attempts to integrate pagan beliefs. As the Celts had developed the tradition of wearing masks and disguises, the Church adopted this ritual to fits its practises. People would dress up On All Hallows Eve as angels, saints or even demons. During the Middle Ages, the practice continued and evolved. “Souling”, or begging for food or money often by the poor in exchange for prayers of good will for those in Purgatory, became common. Souling was eventually reinterpreted by the 19th century into more of a performance or “guising”. The concept was the same as in souling. Instead of prayers, jokes were told or instruments played. Eventually, guising was reinterpreted again into what is known as trick or treating. Although in its earliest form in the 1920s in the United States, trick or treating (sometimes) meant playful vandalism and extortion. Although death and wariness of the spiritual surrounded the Celtic festival of Samhain, it was not a morose event. In fact Celtic communities took the time to reflect on the past year, welcome new members into the community and try to predict the future though various games. Bobbing for apples was one of those games. According to legend, the first person to successfully bite an apple would be next to get married. The tradition carried on, but as Halloween’s religious significance eroded with time and the event became more commercialised and child-oriented, it is now often a game for children to play. 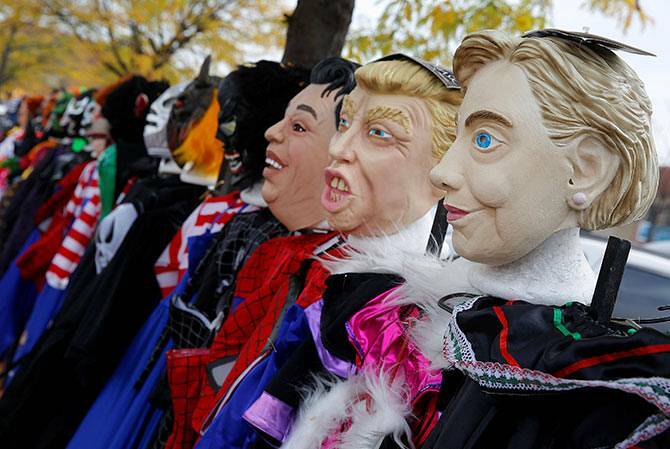 Modern Halloween as it has been reinterpreted by the United States and Canada has struggled to expand in Europe. In the 1990s Halloween was briefly exported to France but never gathered the commercial fervour seen in the United States. The experiment lasted for a couple of years and has progressively faded away bar night clubs, or expatriate communities, hosting Halloween parties. That said, the city of Limoges, uniquely, hosts an annual Halloween parade and festival that mimics its outre-Atlantic cousins. 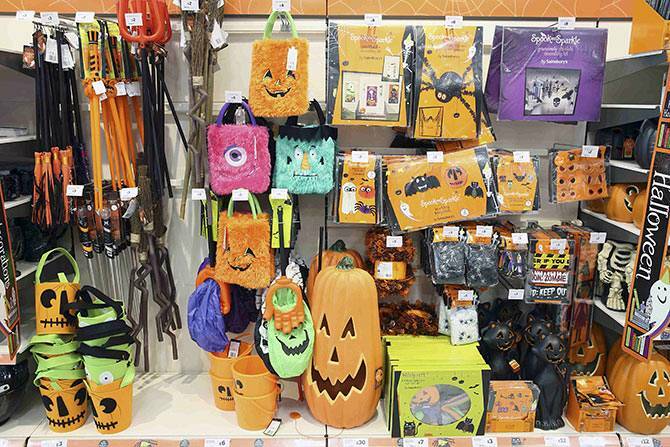 Across the Channel, modern Halloween has generated more commercial success in Britain. In 2015 the celebration was expected to generate £460 million in retail sales, an increase of 4.1 percent from the year before.